Trooprock Aussies: Raining on Sunshine and don't it feel good! Raining on Sunshine and don't it feel good! After celebrating my father and his wife's 50th on the Gold Coast Jen and I did a quick day trip to Moreton Island. Rocky remained on the mainland for this adventure. Moreton island is a beautiful island with plenty of sand, being the 3rd largest sand island in the world, it's no wonder! Crystal clear beaches and beautiful clean sand make Moreton a lovely paradise a short trip from Brisbane CBD. There is plenty of 4 wheel driving into countless pockets of paradise around this place, which we did not induldge in this trip. We visited Tangalooma, which is the main resort on the island. A short walk north of the resort is a wreck close to shore. The water is crystal clear and incredibly calm. fish and large starfish are easily spotted in the shallows as you swim. 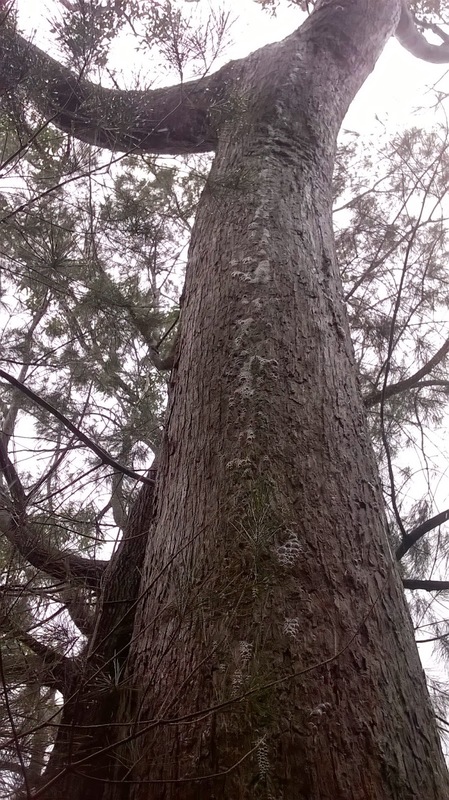 A short 4 wheel drive trip from the resort is an incredible sandune over 300 metres tall. You can head out there on a quick tour, grab a board and slide on down, not a bad way to mix it up after some beautiful ocean time. A heads up from captain hindsight for anyone planning on sandboarding any time soon: Try to wear boardies with no pockets and try to get time for a swim afterwards. I did not and had sand falling from everywhere for hours! After a night back in Brissy we hit the road north up to the Sunshine Coast, it had been a good 7 or so years since I last visited so was pretty pumped to see it again. The weather was getting worse, overcast and light rain, so we decided to go for a stroll around Sunshine Plaza in Maroochydore. A beautiful shopping centre on the river. The weather cleared up a bit so we walked down the riverwalk and across to the Big Top. Man that place had changed, last time I was there it was an old tent with a few hippy shops and one of the best CD shops I had ever been to. The big tent is now bright and white, a heap of renovations seemed to be at the almost finished phase and a lot of trendy little hipster type cafes and restaurants around the side with reasonable prices. Was pretty nice, although the CD was nowhere to be found. That night we stayed right down the spit of Mooloolaba at a council run caravan park. Our fingers were crossed the next day wouldn't be so drizzly, but we took advantage of the location to head over to Hogs Breath for dinner. Awesome decision as Mooloolaba Hogs Breath still do the best steaks! Storms had began to brew through the night and the morning brought that sideways rain that really puts a dampner on camping. With the weather being so heavy we kept ourselves dry for the next day and night. 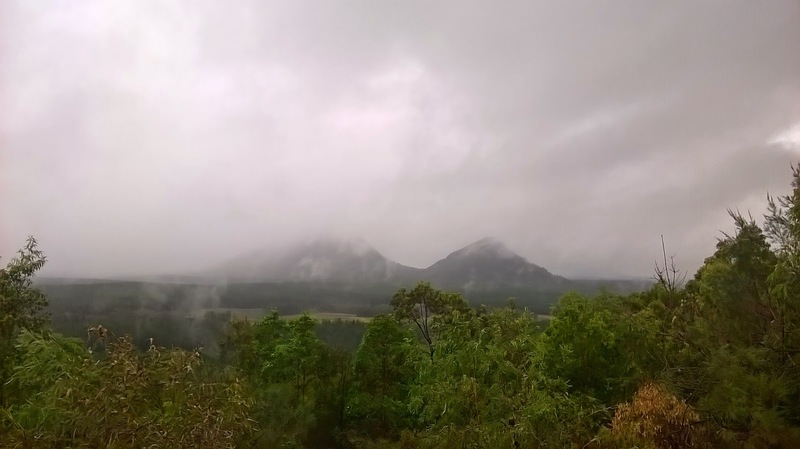 The weather was very far from what we would like for the Sunshine Coast, so we uprooted and headed west into the mountains and rain forests. 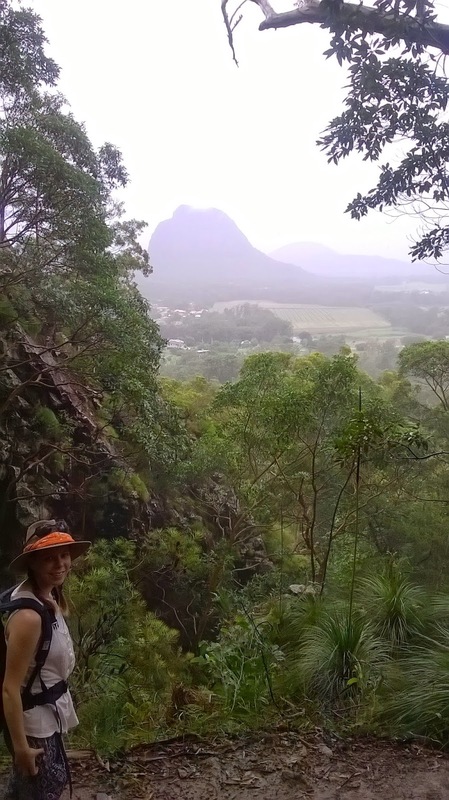 The morning weather brought a light rain, which was nice for a light hike and we ended up going into the Glasshouse Mountains. They were named the Glasshouse Mountains by good ol' Captain Cook as they reminded him of the glass furnaces of Yorkshire. The Gubbi Gubbi people of the area see these mountains as a collection of faces of a family, the largest being the pregnant mother and the next 2 largest being the father and eldest son. 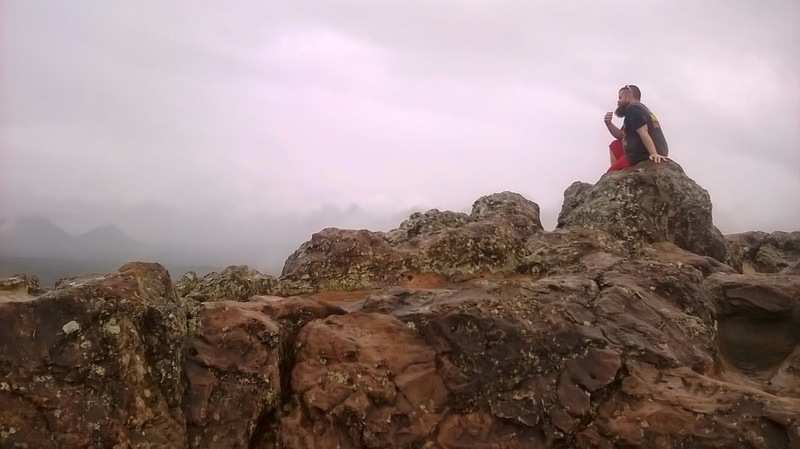 We climbed Mt Ngungun (Pronounced Noo noo) which shows beautiful panoramic views of the area, however once we reached the top we were ambushed by the clouds that were racing around the hinterlands. As we got back to the foot of the mountain the rain had picked up quite a bit. 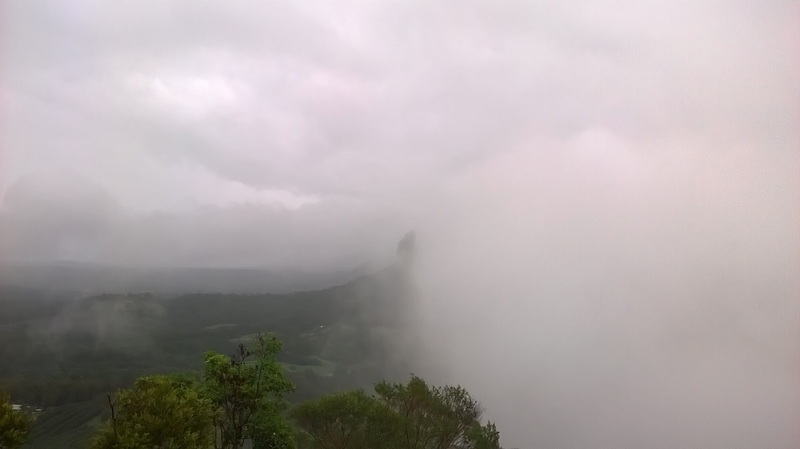 We decided to drive further west to another lookout, the weather stopped us from seeing too much and the sideways rain returned! So our first trip to the Sunny Coast this year was far from sunny, the beaches may have been far from perfect but the rainforest was awesome! 2015 On the Road Again!